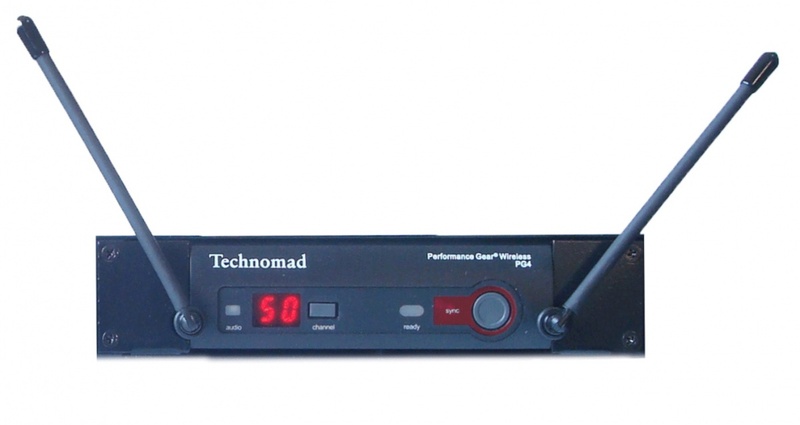 Wireless Microphone – great sound from an easy to use wireless microphone system, with a handheld transmitter (lapel mic or headset mic available also) and a Technomad factory-installed receiver in your Turnkey PA Control Rack. Ideal for sporting events, mobile PA, and more. Hand-held, lapel, and headset versions available. New! OSLO Subwoofer / Amp Upgrade – while all Technomad PA systems deliver great bass, if you want that ‘dance system’ experience only a dedicated subwoofer will satisfy. Fortunately, Technomad developed the world’s most powerful fully weatherproof subwoofer, the OSLO 18 for one of our Theme Park customers – and now you can add that power to your stadium PA system. This upgrade option adds an 18″ OSLO sub, dedicated sub amplifier installed into your system rack at our factory, and all cabling. 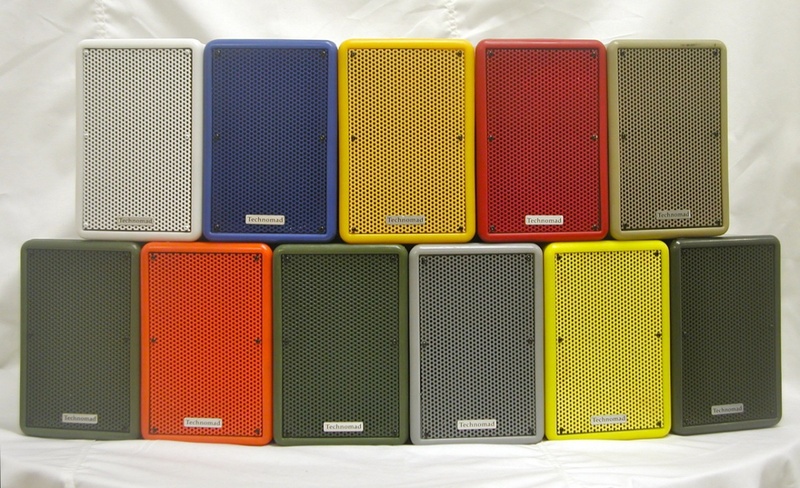 Take your Technomad PA system from amazing – to devastating! Schedulon MP3 Player-Recorder – fast access to MP3s you load, with per-track play modes (loop, one-time, push-to-play). Records audio too – record live audio to MP3 format for archiving or future use (interviews, sound bites, more). Even plays sounds automatically on a schedule you set – great for pre-event music and announcements! Idea: play sound effects during the game, music clips, the National Anthem, more. OR: play promotional clips mentioning team or booster club sponsors, local businesses. A great way to get funding for your stadium upgrade project. 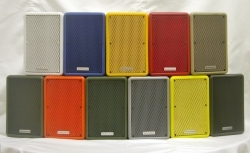 Custom Color – order your system with loudspeakers to match your architecture, or your team colors (14 choices). wireless mic and CD player in one compact rack-mounted unit. 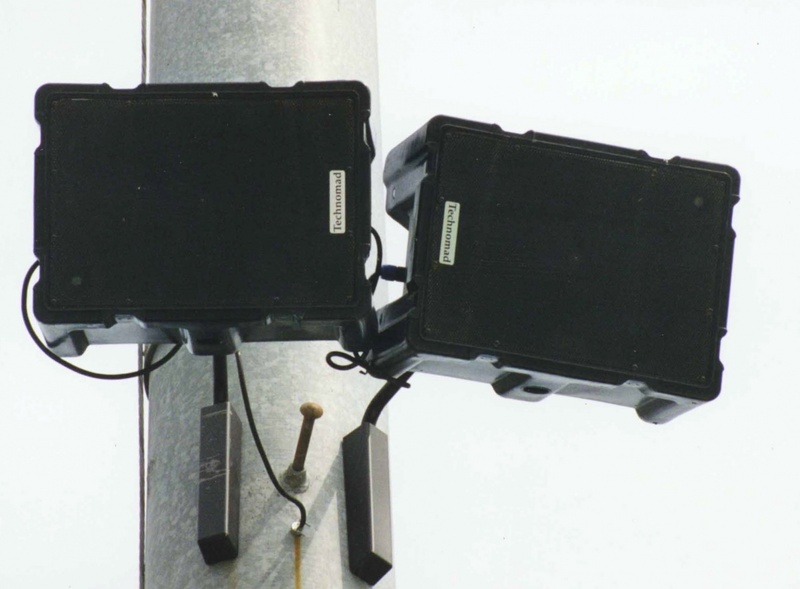 Same features as stand-alone wireless or CD player modules below, but lower cost when ordered as bundle. CD Player – a pre-installed Technomad CD player lets you play standard CDs and MP3 CDs (which hold many more songs) from your turnkey PA system. an iPA3 or mPA3 (which comes with two Berlin 15H loudspeakers) you can add up to four more Berlin 15H loudspeakers – or even Berlin 6040 or Berlin 9040 loudspeakers if you need very long range to cover a narrow area. Your local Technomad dealer can help you configure the perfect system, or contact us with your questions. We have more options than what’s shown above – 12 Volt DC inverters, larger mixers, mounting systems – just ask!